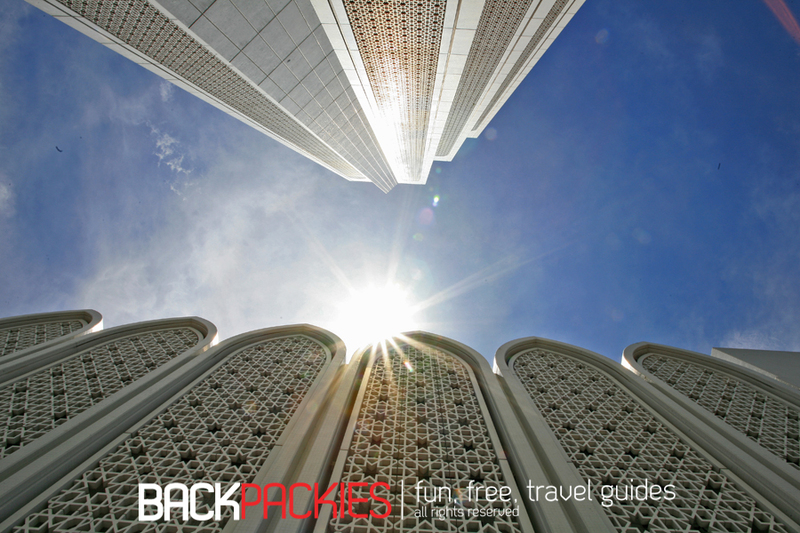 Dayabumi Complex or Kompleks Dayabumi review by backpackies | Backpacking - Who says, NO money cannot have fun? 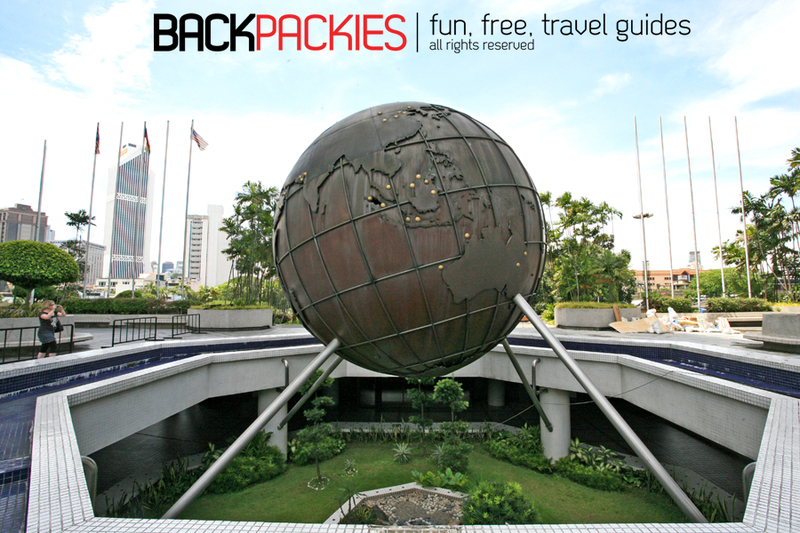 Backpacking – Who says, NO money cannot have fun? 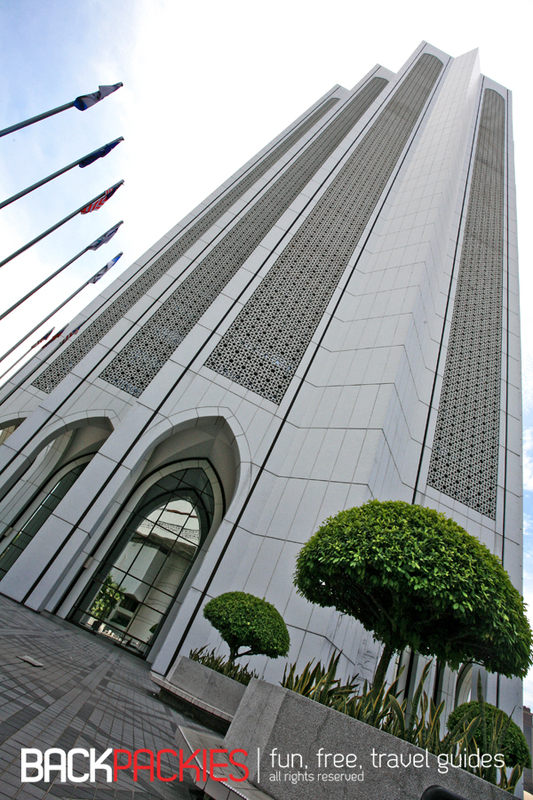 The Dayabumi Complex (Malay: Kompleks Dayabumi) is a major landmark in Kuala Lumpur, Malaysia. It houses several commercial facilities and is one of the earliest skyscrapers in the city. 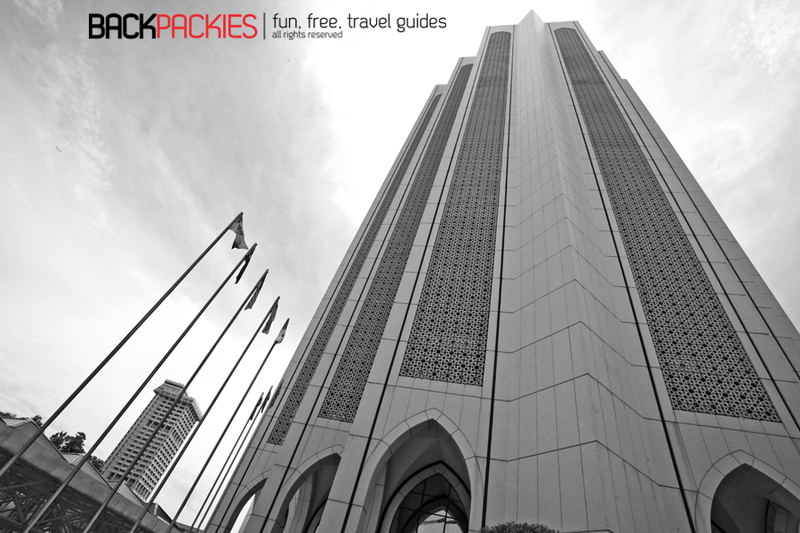 It is located near the National Mosque, the Old Kuala Lumpur Railway Station and the Federal House at Jalan Sultan Hishamuddin. Dayabumi is not an attraction on its own besides the architecture. But due to its close approximation to the Central Market we decided to walk over and shoot some shots. It was designed in a modern Islamic style. 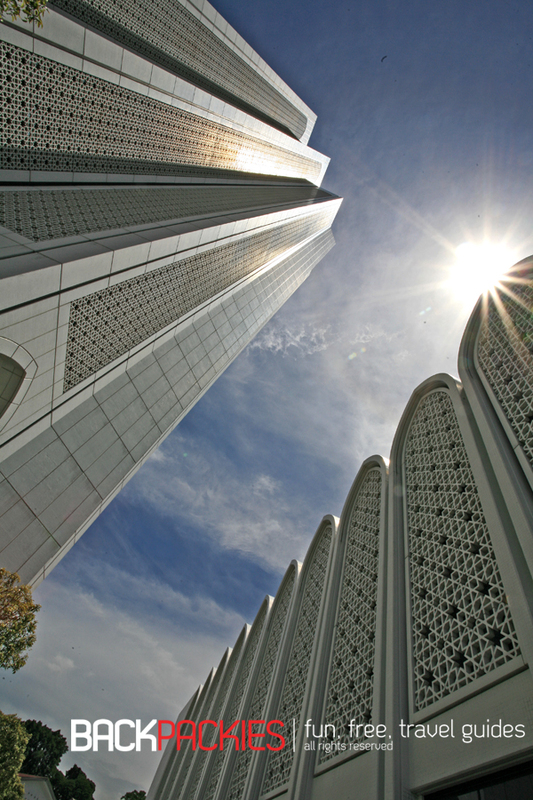 The facade of the tower is adorned with patterns of eight-pointed stars, and Islamic arches at the top and bottom of the tower. The Islamic Arches that extend to the top creating a wide space of feel. Previously, it was a site of Malayan Railway workshops and depots from 1900s until 1981. Construction began in 14 February 1982. Central Market, which is near the banks of Klang River avoided demolition during Dayabumi Complex’s construction. The building was completed in February 1984. It was owned by Urban Development Authority of Malaysia. (UDA). Dayabumi Complex was designed by Arkitek MAA and BEP Akitek under the joint venture firm BEP+MAA. 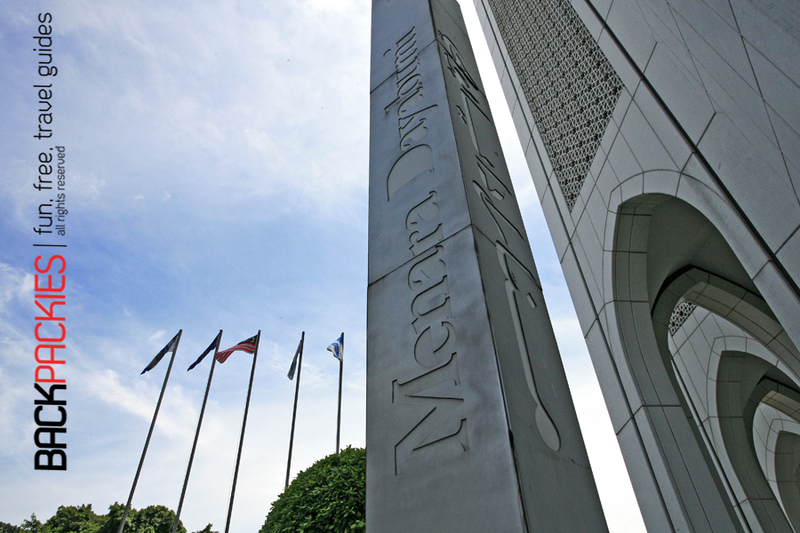 The landscaped public realm was designed by Peter Verity (PDRc).The building was built by Kumagai Gumi Malaysia. We hope that this blog is able to show you what the Dayabumi complex looks like. After taking the pictures here, we went across to Chinatown to have some lunch. There really wasnt much to see here except the architecture. So if you are interested on this place, just take the LRT to Pasar Seni (Central Market), if you walk from Central Market you are able to see the complex just beside it. 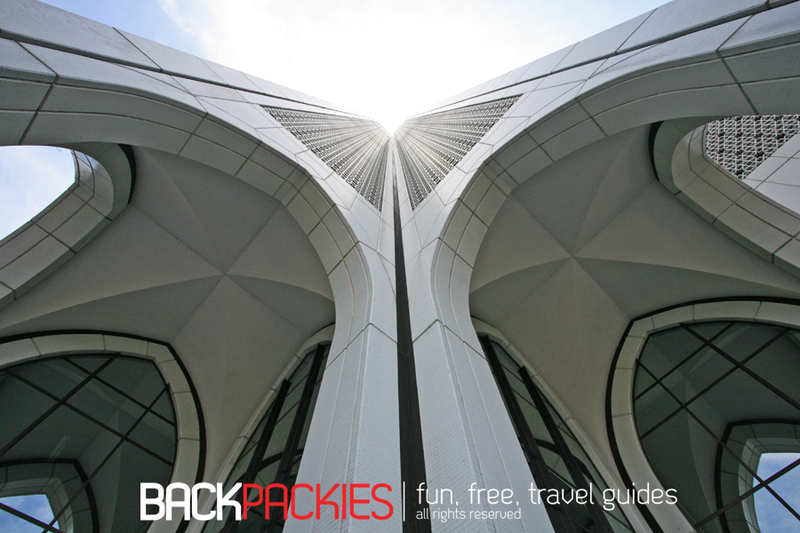 For more backpacking tips you can visit our website or if you have a facebook account, just like us at backpackies is on facebook. Stuck in Kertih, Terengganu for 6 hours! BORED?! NO WAY! Roommates Guesthouse Penang April Promotion! 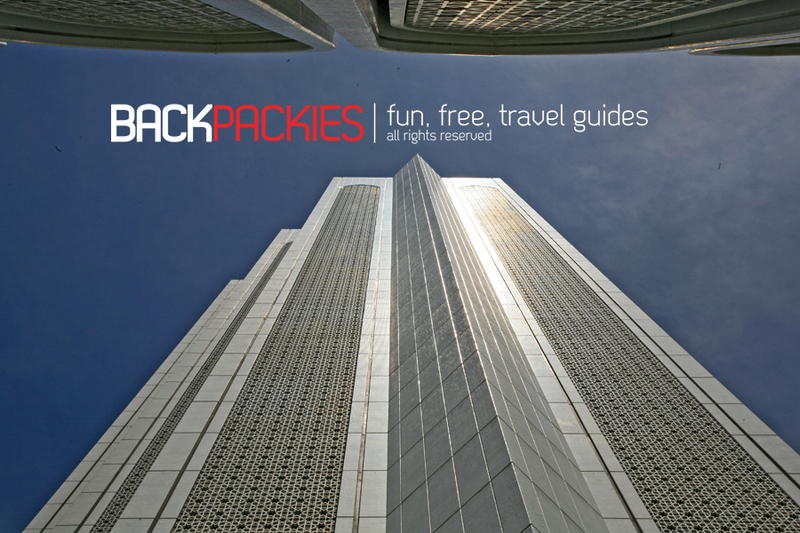 Backpacking – Who says, NO money cannot have fun? 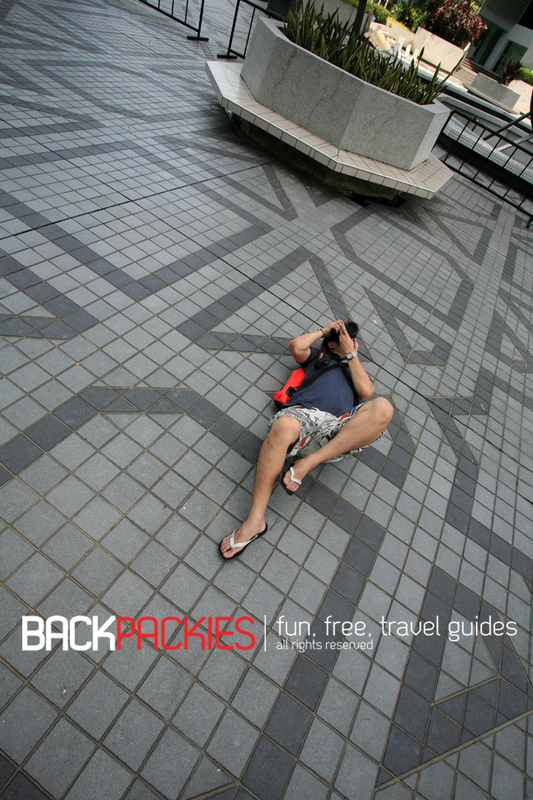 · Having fun on budget trips!